I have taken a few online courses during the last five to six years. I support life-long learning and it’s good for me to be a student after nearly 20 years of teaching. I was recently enrolled in one course and I dropped it. It’s too bad, too. Why did I drop the course? Well, after four negative experiences with the instructor, I spoke up and said, “I do not appreciate your passive aggressive emails to me.” I also contacted the department to complain about the way that I was treated. I cannot remember the last time I was treated this poorly by one of my professors. Actually, I can, but that particular professor was rude to everyone and some found it charming. I did not. I did not take any additional courses with her and I promised that I would not repeat that behavior. As a professor, I have had to ask a student to leave my office and go to the chair with the comment/complaint. I have also told a student that a boundary has been crossed with a rude email to me. However, I try my best to treat my students with respect and hope for the same. I have had to walk away from a student and say, “We are done.” And, this has only been when the student stepped into my physical space and I knew that the best thing was to end the conversation. Overall, I am glad that I dropped the course. I am also quite appreciative that I heard back from the department. I had a good conversation and I was clear that I will not take another course with that instructor. Remember–treat people the way that you want to be treated. And, if you have the urge to be rude, don’t. It takes energy to be mean or rude, and it is far easier to be pleasant and professional. Thanks for reading! I am going to a conference for professional development this week. You might have heard of the conference–BlogHer. This year marks its 10th conference. You have to figure that some 11-12 years ago the group of women founders looked around the Silicon Valley and realized that they were doing something unique and needed to network with other women. 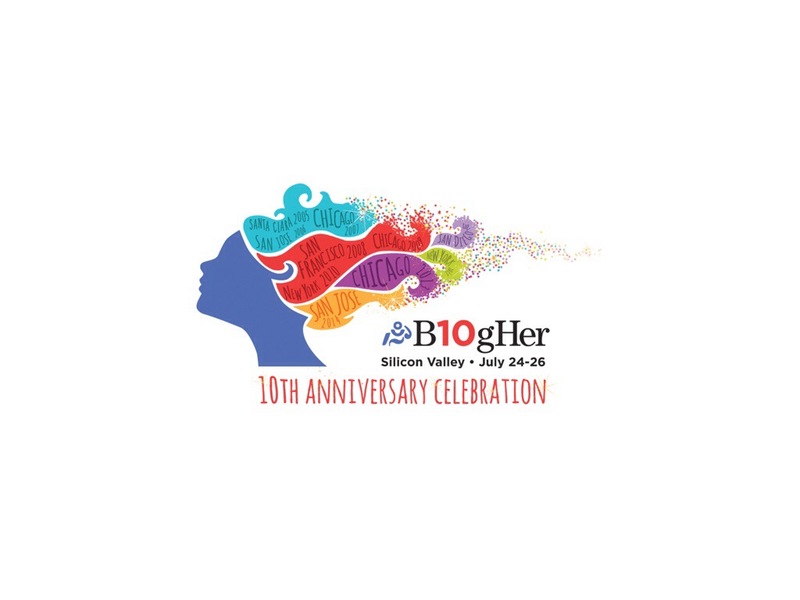 Voila–BlogHer was born. Now, BlogHer is a tween and is going strong based on the various other conferences, website, and more. I am happy to attend this year’s conference in my home state, California. And, I am looking forward to learning more and making connections. Lifts coffee cup–to BlogHer. Today’s Fri Fun Facts is about my new use of writing Performance Reviews for the Teaching Assistants. After looking through the Canadian Union of Public Employee’s Agreement between my employer and the local group, I decided that it would behoove me to offer the Teaching Assistants a more formal review. Today’s Fri Fun Facts will speak to how I will do this every term on. My intention was to provide each Teaching Assistant with an honest, fair assessment of their work this term hoping that they could use the review in their teaching dossiers or as part of their resume paperwork. Writing the reviews took more time than I thought it would, as I really wanted to convey a personal review for each Teaching Assistant. How did I do this? When I meet with each Teaching Assistant to review their graded work, I would email myself notes about the meeting and these summaries were useful. When students would see me during office hours and offer unsolicited comments about their Teaching Assistant, I would email myself a copy of the comments for my records. These little things were important to providing me a memory of the Teaching Assistant’s performance. 1. Keep notes or records about the Teaching Assistant’s performance. If there is every tricky situations, these notes are really useful. 2. Check in with the Teaching Assistants to make sure that they are doing well and feel that they are getting enough support from you. 3. Provide them guidelines about your expectations. You might email or verbalize this. I actually provide a dossier: a one to two page expectations letter, sample graded work, exams, grading guidelines for the university, and a copy of the syllabus. 4. Be available. You need to set up times to be available for their questions or be willing to guide and coach the Teaching Assistants as needed. Some will need more of your time and others hit the ground running. 5. With the review, think about the Teaching Assistant’s grading, effort, interaction with the team, students, and comment on this. Note any areas for improvement and be willing to note if you think that you could have supported the Teaching Assistant more. 6. Be honest. The review should be helpful, but it does not need to only be positive. Constructive comments are sometimes needed, but offer them in a helpful manner. 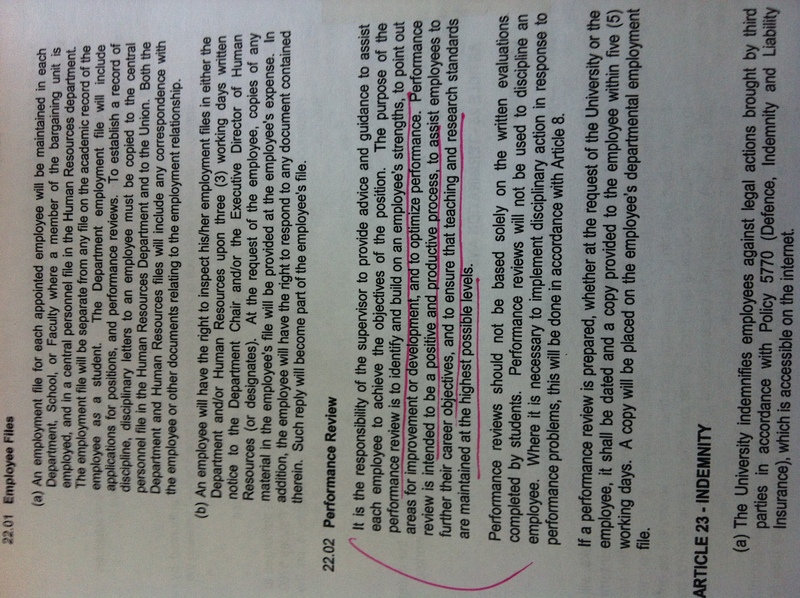 Overall, the Performance Review should be helpful for you, the Teaching Assistant, and any future employer who sees the document. Remember that the arrangement is really an apprenticeship and you need to mentor or coach the graduate student, as this is not “free” grading for you. The cost is really supervising and helping the Teaching Assistant perform the duties. I have to remind myself of this occasionally! How do you evaluate your graduate students? I was looking at my blog posts and see that this one from not quite two years ago is timely. I have taken the liberty of revising the post. I have been having more conversations with graduate students about life after graduate school. Not all of them are interested in the traditional career path in academe. Can you blame them? The job market for full-time work in higher education is dismal. There is lots of work for contingent (part-time) faculty, but that doesn’t really provide a stable income. I know this well, as for most of my academic career, thus far, I worked part-time. Sometimes this work was between three different departments and most seasoned graduate students know this. I do think that we need to be more responsible with our mentoring of graduate students and part of this includes not suggesting graduate school as a viable option to some students. There, I said it. Graduate school is not for everyone; however, some will figure this out on their own. I am referring more so to being honest about the psychic and financial instability of graduate school. Lately, I am seeing more undergraduates entertain what they are referring to more “practical” programs like advanced degrees in Public Administration and even a few are entertaining MBA programs. I think this is a good thing–let them branch out into different degree programs. An advanced degree in Political Science is useful, but it is not the only option. I have been pleased to see an ongoing thread on Twitter under the hashtag #NewPhD. These short conversations are interrogating degree programs and what we think needs to change. These are important conversations. We also need to provide more support to graduate students. This includes support for when they need more help. And, this includes protecting them from yes-itis. You can say yes to too many project or overall commitments and then not give any of them the full effort they require. We need to be more honest with our graduate students and make sure that our institutions offers different types of job training or workshops. And, if the student does want to go into higher education, we need to do a better job of training them to work with students. This can be tedious, but meeting one on one with the students is really worth the time. This is part of an ongoing train of thought for me. Graduate students also have to willingly want to learn and realize that professional development is important. This is the best case scenario–where their institution offers workshops and they have good mentors. We all have stories where things went awry. But, let’s try to make it better for the current cohort of students.